At that time Frida Kahlo was suffered from a lack of appetite due to her many surgeries and numerous illnesses. She became very think and malnourished. Her doctor, Dr Eloesser, prescribed her complete bed rest and a forced fattening diet of puréed food every two hours. 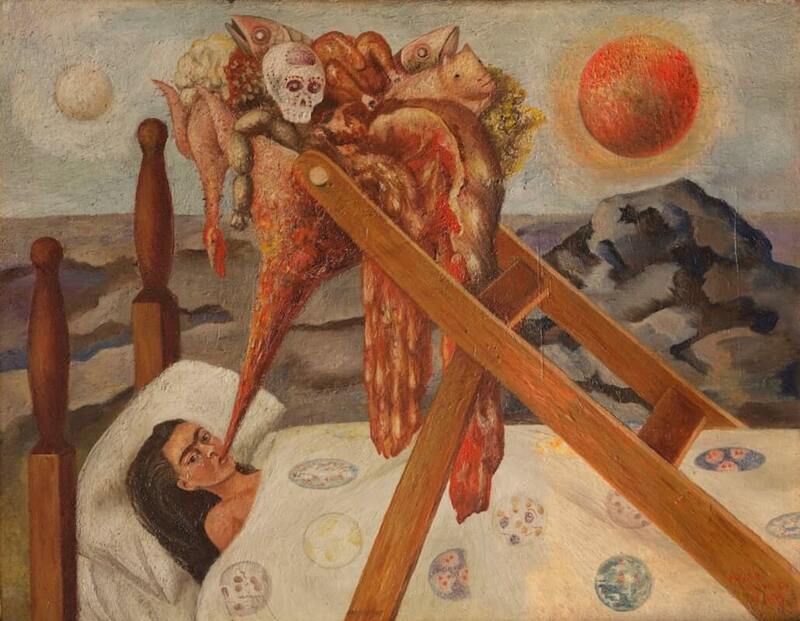 In this painting, Frida Kahlo depicts what she went through with the "forced feeding" diet. The disgusting food with animals and skulls was hold by the wooden structure which used to hold her canvases for painting. It seems her arms are pinned underneath and cannot help with the situation. The back ground is deserted Mexican landscape showing both the sun and the moon. The situation seems to be Without Hope.